As we grow in our walk with Christ - in the wisdom and knowledge of Him, the fruit of this growth should be evident to everyone (including ourselves) around us! The key to a Spirit-filled and led life is the take God's Word an actively live it out in our lives and with this, when we are told to bear fruit in the scriptures we ought to do just that - bear fruit! This list in this passage is the exact opposite of what we see or experience many times in our lives and in the world we live in, isn't it? Note also that the passage states ..."those who belong to Christ Jesus have crucified the flesh with it's passions and desires." In this statement alone it's clear that we are to rid ourselves of the bad seeds we have sown and the bad fruit we've produced in the past and thankfulling God is faithful to help us do just that! As we grow, we will plant good seed and in turn produce good fruit and the choice then comes to us in part - what fruit do you and I want to bear? Fruits of the flesh (sinful nature) or the Fruits of the Spirit (The fruit that comes from God and abiding in Him) ? I recently ran across this below great video on The Fruit of the Spirit. 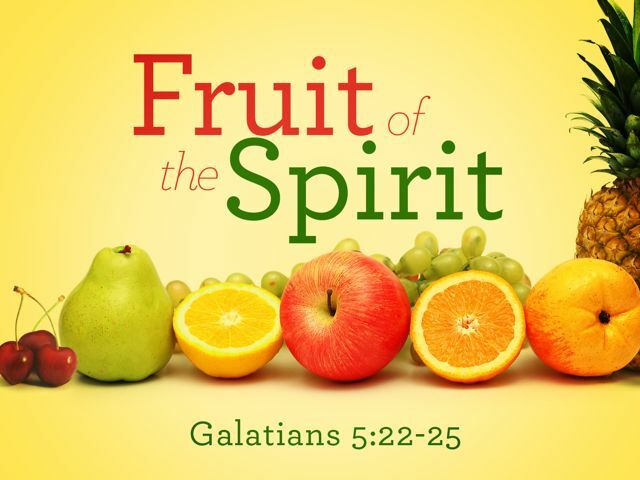 Take time to watch this brief video and then ask The Holy Spirit to help you #1 evaluate what fruit you've been bearing lately / what seeds you are sowing and #2 to help you to bear good fruit - spiritual and physical (the things you do) fruit because we cannot do it on our own! We need His help to plant good seed and bear good fruit! Fruit of the Spirit - An illustration from inspiredfaith on GodTube. Let's seek to replace the bad seeds we sow (like doubt, fear, wrath, anger, etc..Which results in bad fruit) with His good seed and in turn bear the good fruit that brings glory to Him and blesses and benefits ourselves and others! Let our lives be ruled and guided by His Spirit and therefore plant good seed and grow and bear good fruit - The Fruit of the Spirit!